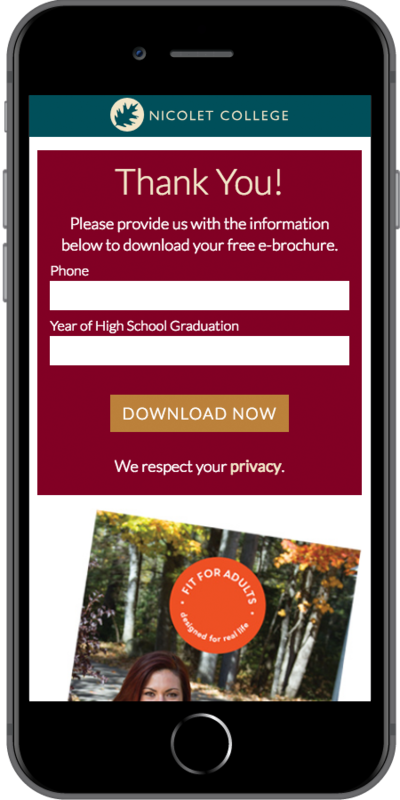 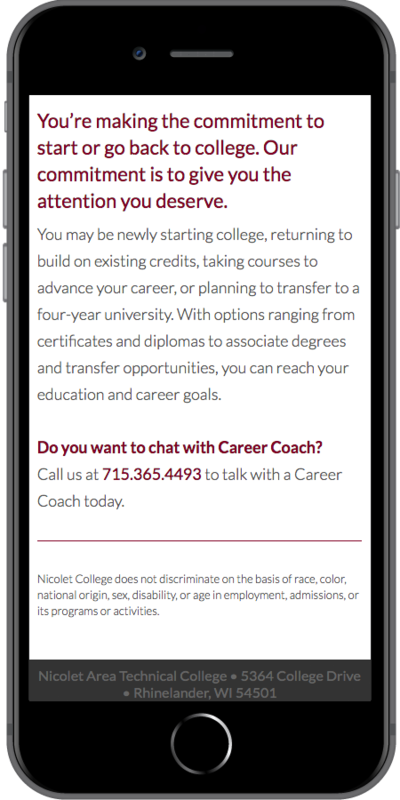 This technical college in Rhinelander, Wisconsin was experiencing a reduction in enrollment due to population changes and competition from online education providers. 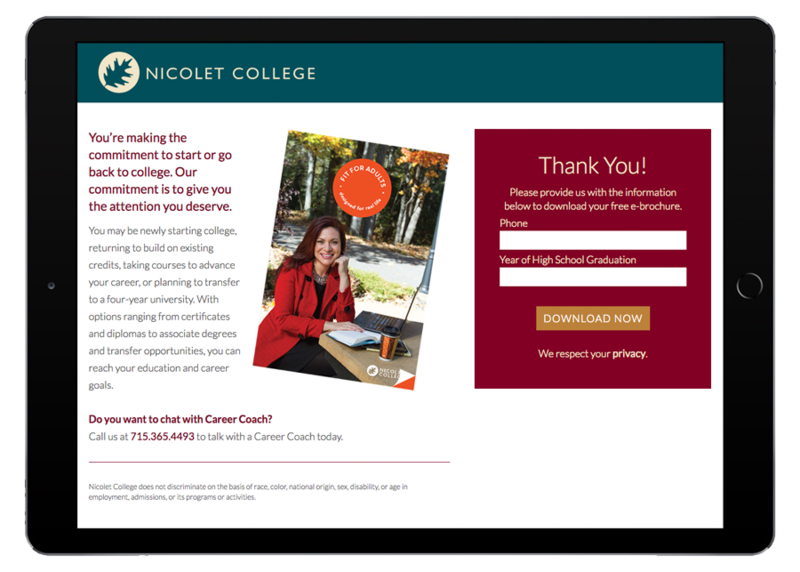 In an effort to increase adult students in key programs and to create new partnership opportunities with regional businesses, Nicolet College was seeking a partner to provide strategic recommendations to improve their digital presence, increase and nurture leads, streamline internal processes and content management, better convert their prospects to enrolled students, and utilize their technology stack to market their offering effectively and efficiently. 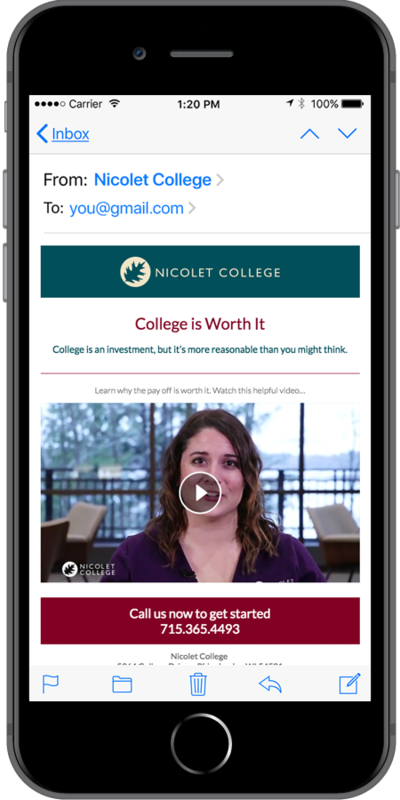 From digital marketing research to our unique understanding of technology implementation, the Starkmedia team was well positioned to provide expertise that translated data to an actionable strategy for accomplishing Nicolet’s goals.